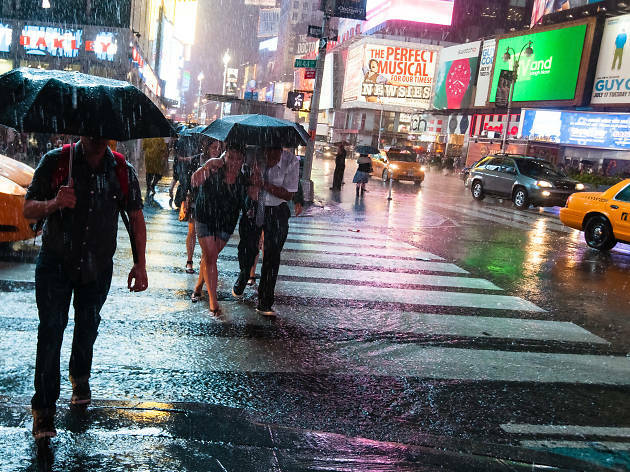 When it rains, it pours—especially in New York, where my fellow citizens behave so selfishly in poor weather that they make wading through puddles and scrambling from awning to awning exponentially worse than it ever has to be. Yes, rain is inconvenient, and much like overly sensitive cats, we don’t like water to touch our precious skin. But contrary to how most of you act, you’re not going to melt like the Wicked Witch of the West if you happen to get a little wet. Guess what? Most subway entrances and exits are narrow. Close your umbrella before you hit the stairway if you’re on your way down, and for the love of Pizza Rat, if you’re heading back out into the open air, wait those five extra seconds to reach the top of the stairs before opening up your umbrella. You will survive a few errant raindrops! If you pop your umbrella in the stairwell like an egomaniacal animal, others cannot navigate around it and will instead be struck by the soggy monstrosity, probably directly in the eyeball. You’re worse than those people who stare at their cell phones as hundreds of people try to ascend the stairs behind them. Don’t worry: No one’s in a rush or anything! And if you’re one of those monsters who walks down the street with an umbrella fit for Hagrid, making no attempt to move it up, down or sideways to accommodate others walking near you, you deserve a Greek-myth-worthy fate spent directly behind tourists suddenly stopping to stare up at buildings every day for the rest of your miserable city-bound life. Tilt your umbrella up so you can see other human beings also trying to reach their destination. 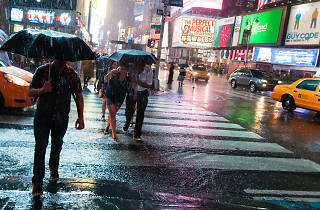 You are not the only person in this dreary, soaked town, so stop acting like it.